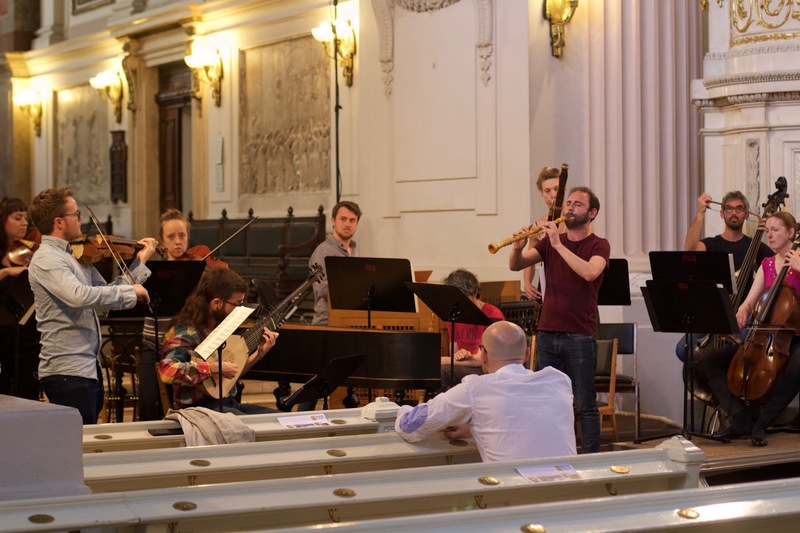 The baroque collective Solomon’s Knot performed on the second day of Leipzig’s Bachfest, giving a concert on Saturday, 11th of June 2016 in the Nikolaikirche. 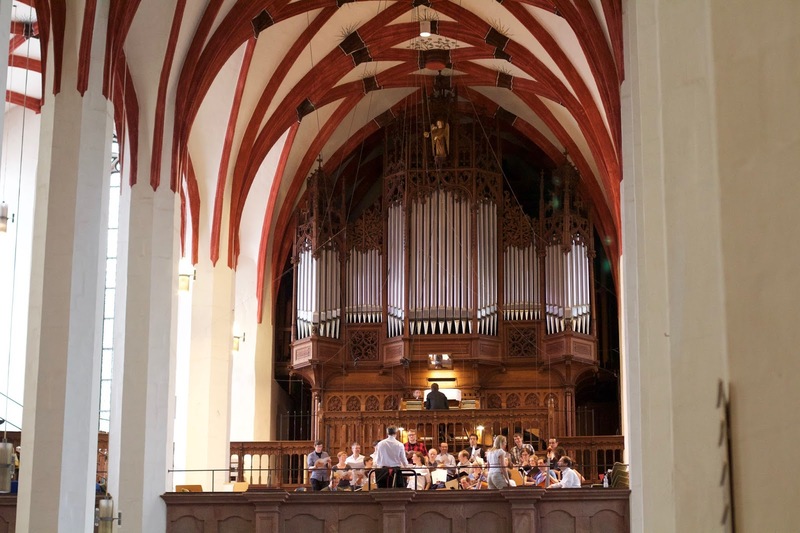 The singers performed the entire concert from memory and the conductorless ensemble wowed the Leipzig audience with what the Leipzig Bachfest described as an ‘outstandingly vivid’ performance. The response from the audience was overwhelming and we were rewarded with an unforgettable standing ovation, even after the first piece ‘Ich hatte viel Bekümmernis’ BWV 21. 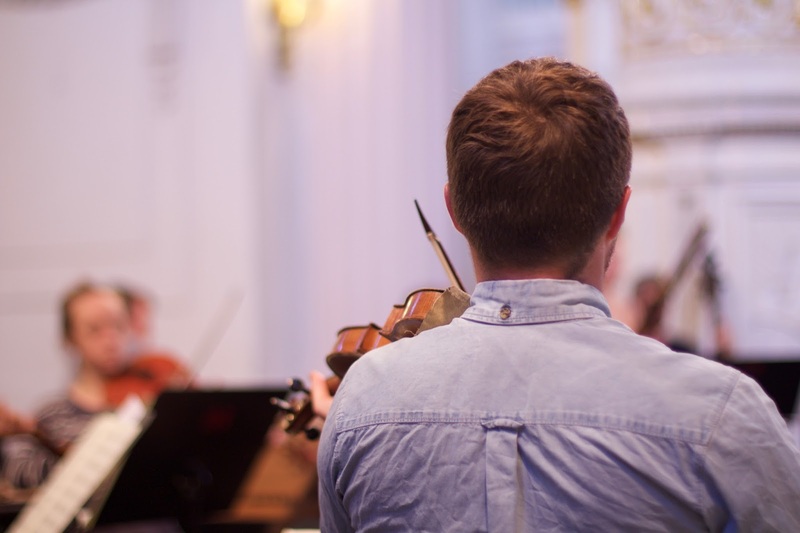 To receive this response from an informed audience of Bach-lovers and scholars, in one of Germany’s most celebrated musical festivals was a major achievement. 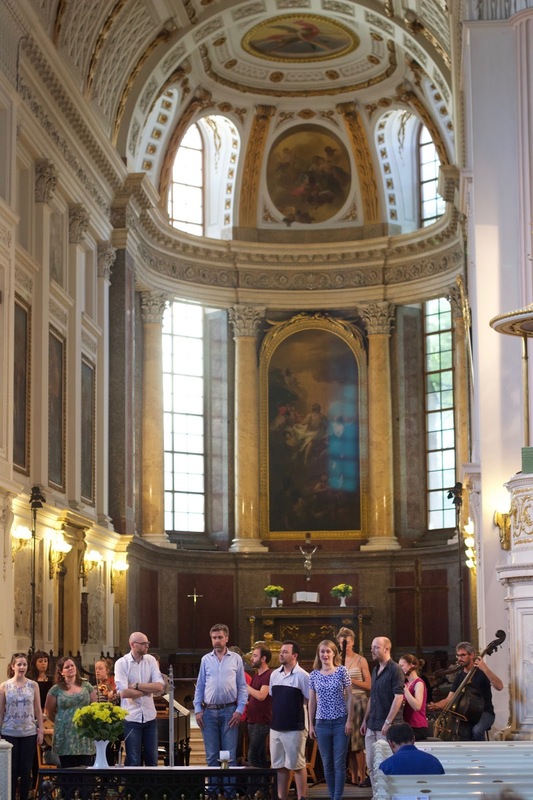 Solomon’s Knot performed a programme called “Secrets of Harmony” with music by two former Thomaskantors of Leipzig, Johann Schelle (1648 - 1701) and Johann Sebastian Bach (1685 - 1750). The decision to include Schelle's 'Machet die Tore weit' was an ingenious inclusion, in-keeping with the Leipzig theme, and it is an exceptionally beautiful piece of music. It was amazing to be performing where these musicians had worked. 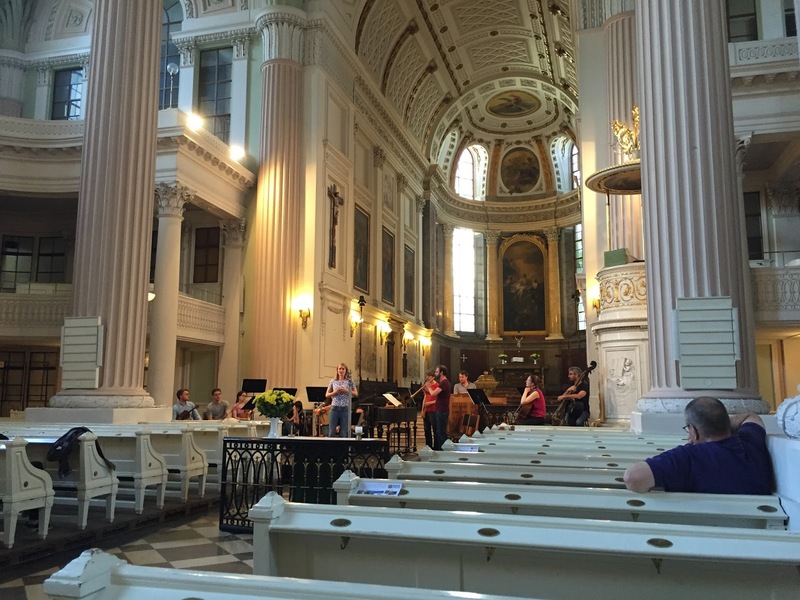 We were all exceptionally excited to be in Leipzig performing this programme and it was a great privilege in particular to play Bach in one of the places where Bach played Bach. 'Ich hatte viel Bekümmernis' is one of Bach's finest cantatas. 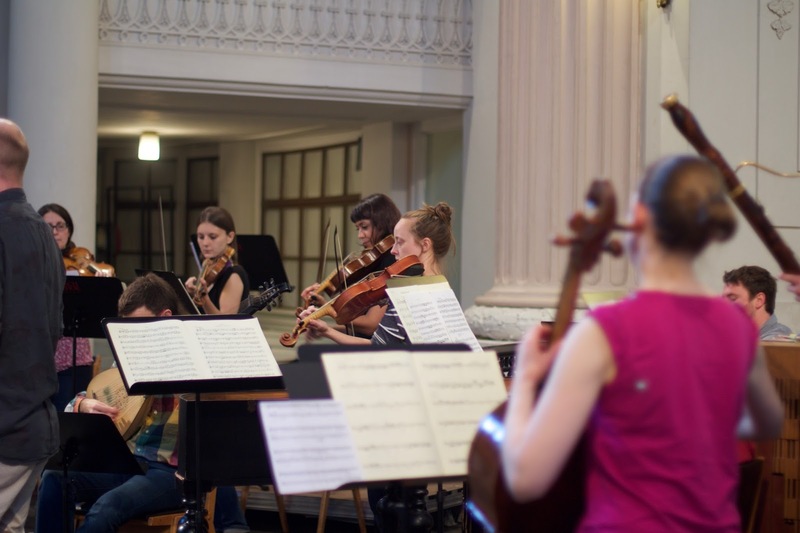 It began with the almost cinematic 'Sinfonia', showcasing the exceptional playing of both first oboe, Leo Duarte and lead violinist, James Toll. 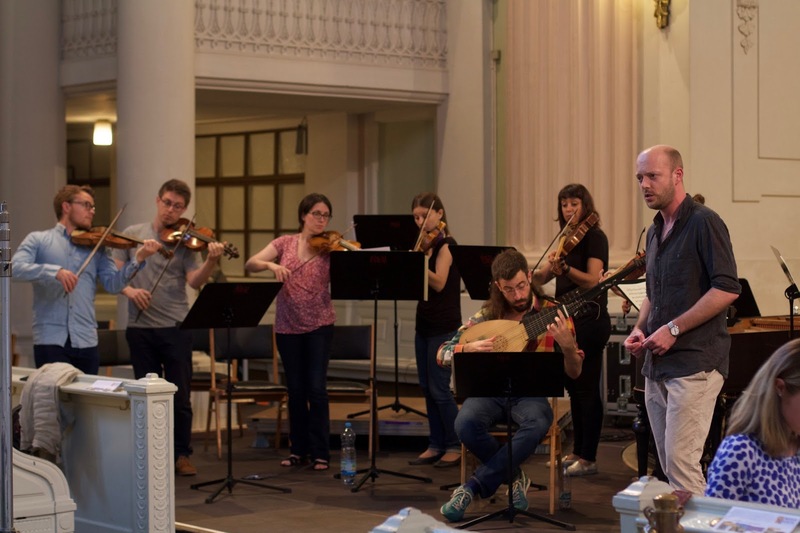 Despite the high-pressure of this situation - they made it clear from the beginning that this was going to be an exceptional experience for both those in the pews and for those on stage. After the first entry of the chorus in the second movement 'Ich hatte viel Bekümmernis in meinem Herzen', it was clear that the singing was going to be of a very high calibre as well. There followed an oboe obbligato in the soprano aria 'Seufzer, Tränen, Kummer, Not' which was performed with rhetorical beauty by Leo Duarte and Clare Lloyd-Griffiths. It was sung sensitively with great control throughout and this continued into the following recitiatve 'Wie hast du dich, mein Gott', which also gave the continuo section a chance to extrapolate a supportive and dynamic accompaniment. Thomas Herford expertly sang the catchy, yet reverent tenor aria 'Bäche von gesalznen Zähren' ('Streams of Salty Tears') with the controlled and stylish accompaniment of the string section. 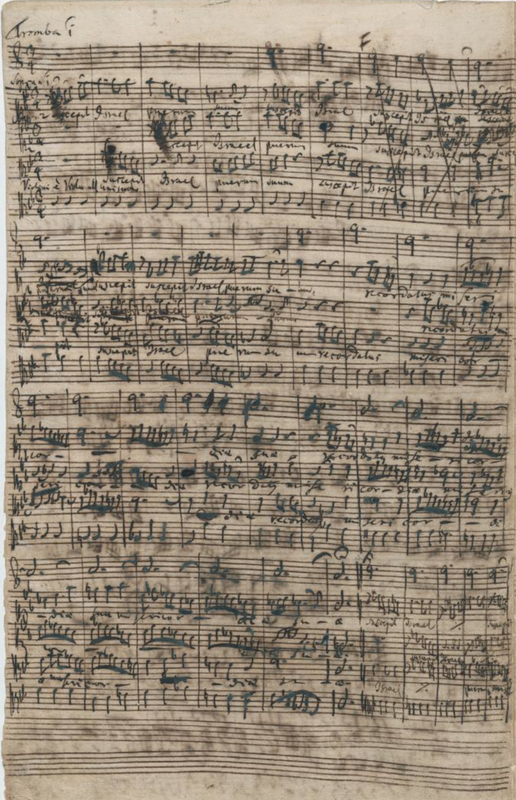 The following chorus 'Was betrübst du dich' shows Bach at his best - moving between an introverted choral psalm and the dynamic and rhapsodic fugue on 'daß er meines Angesichtes Hilfe und mein Gott sei'. 'Ach Jesu, meine Ruh' opens the second half of the cantata. This allegorical dialogue between soprano, Zoë Brookshaw and bass, Jonathan Sells provided refreshingly pure sounds, renewing a sense of relief after the intensity of the previous fugue. The duet continues, with continuo-only accompaniment in 'Komm, mein Jesu, und erquicke', in a more intimate setting. The chorus 'Sei nun wieder zufrieden, meine Seele' is brooding and undulating and showed the controlled chorus of Solomon's Knot at their best. A menacing cantus firmus is introduced in the second half of this movement, which would have originally been played by a choir of trombones. It has a haunting quality, musically enforcing the themes of the text throughout this section: heavy worries, and heat of dispair. 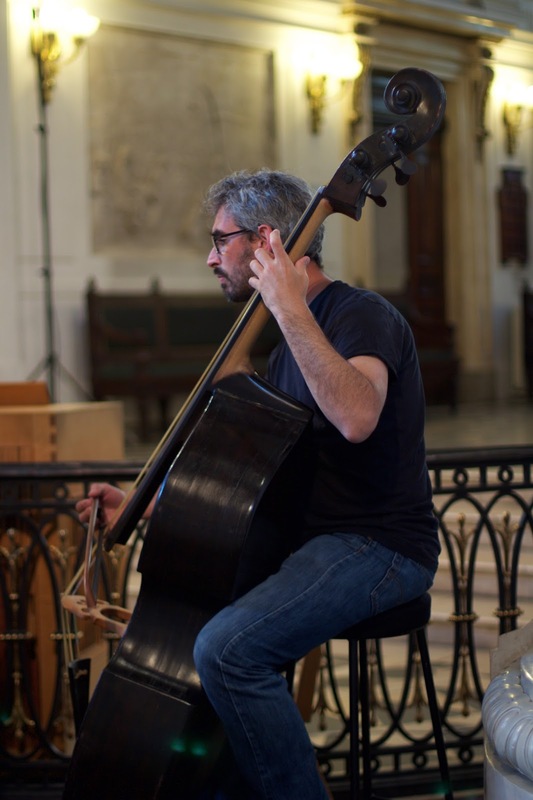 Gwilym Bowen sang the penultimate movement, 'Erfreue dich, Seele, erfreue dich, Herze' with the appropriate amount of rejoicing, accompanied by the elaborate cello line - impressively performed by Jennifer Bullock. There followed the final movement, 'Das Lamm, das erwürget ist', bringing the first entry of the three trumpets and timpani. This triumphant movement presents one of Bach's most memorable fugues: 'Lob und Ehre und Preis und Gewalt' (Glory and Honour and Praise and Power) with the fugue subject sounding in the first trumpet part towards the glorious end of this cantata. After this movement, the audience gave their almost insatiable round of applause and the first standing ovation of the evening. Schelle's 'Machet die Tore weit' was a delightful addition to the otherwise all-Bach programme. 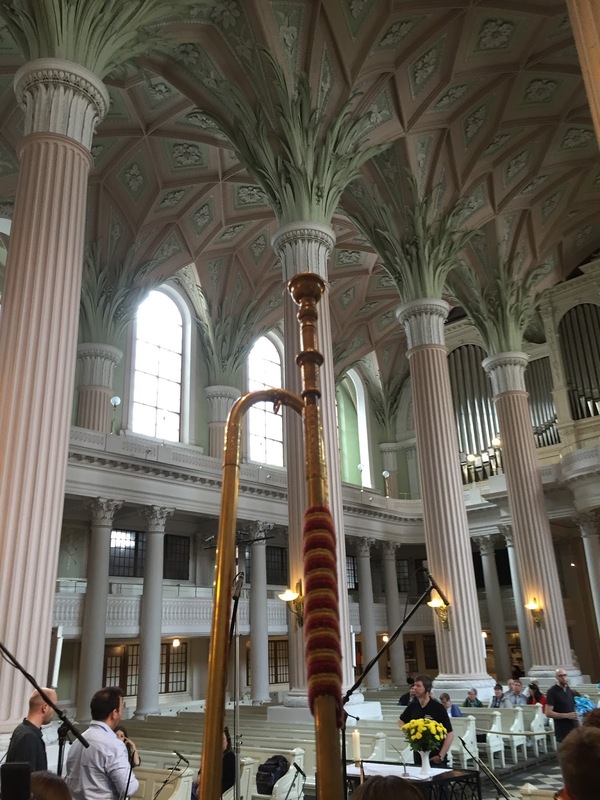 It showed an earlier part of Leipzig's musical heritage and displayed Solomon's Knot's ability to adapt to playing in an earlier style. This piece has fantastic clarino (high register trumpet) parts - clearly symbolising the heavens. The performance of the piece was very enjoyable and it was a real pleasure to hear the slight variation and subtle ornamentation of the instrumental section between verses. The performance of the 'Magnificat in E-flat' was equally compelling. The opening of the movement sounded exciting in this high pitch, and it gave an added sparkle to the trumpet sounds. 'Et exultavit' showed Lucy Goddard's pure voice and fantastic musicality. 'Quia respexit' featured the sublime singing of Zoë Brookshaw and gave another opportunity to hear the beautiful playing of Leo Duarte. 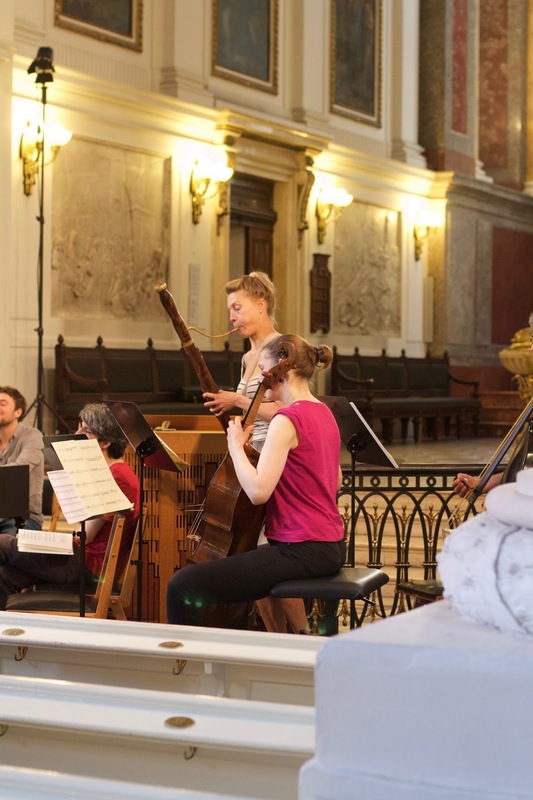 After the chorus 'Omnes generationes', the bass aria 'Quia fecit' was sung with authority by Alexander Ashworth and it was accompanied by continuo and Inga Klaucke's refined bassoon playing. 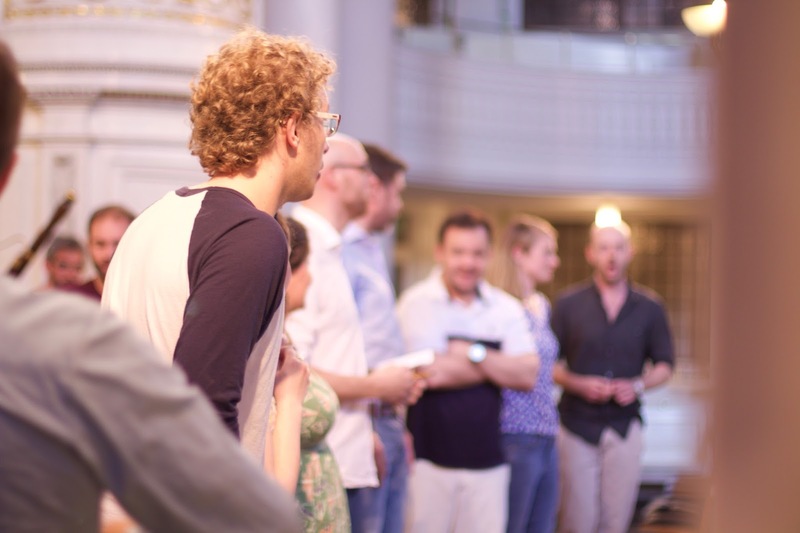 The alto and tenor duet 'Et misericordia' was sung by Michał Czerniawski and Thomas Herford - they were well-balanced and shared the responsibilty for the intimacy in this movement. This led into a lively and powerful 'Fecit potentiam'. Gwilym Bowen sang a striking 'Deposuit' with a fiery string section. Martha McLorinan sang 'Esurientes' accompanied by Leo Duarte and Robert de Bree playing recorders. The movement had a light-hearted feel in complete contrast to the darker colour in 'Suscepit Israel', sung by Clare Lloyd-Griffiths, Zoë Brookshaw and Michał Czerniawski and featuring myself on the Zugtrompete. 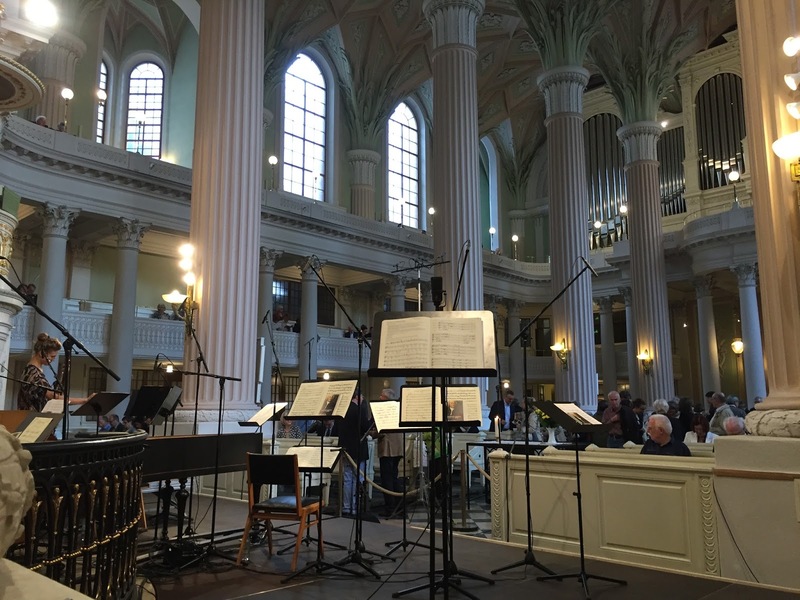 The final two choruses: 'Sicut locutus est' and 'Gloria Patri' built to a climatic ending, culminating in another incredible standing ovation from the Nikolaikirche audience, which required a satiating encore of 'Gloria Patri'. 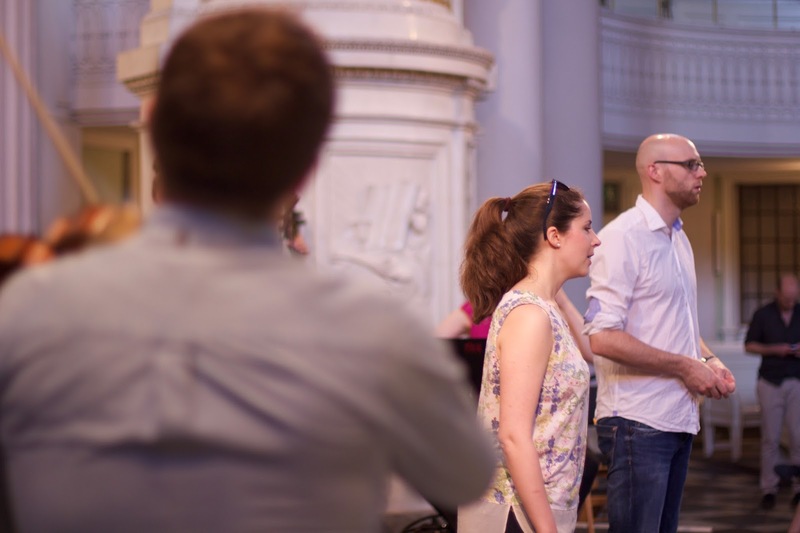 The timing of the movements involving trumpets in this programme demonstrated perfectly what it is that natural trumpet players so often have to do. After waiting (and listening in admiration) for ten movements, we sprung into action playing only in the final movement of the first piece: ‘Das Lamm, das erwürget ist’ - the eleventh movement of ‘Ich hatte viel Bekümmernis’ (BWV 21). We played thematic interjections and the fantastic fugal motif towards the end of this cantata. Then we played throughout Schelle's glorious 'Machet die Tore weit'. Next, we played in the first movement of the Magnificat in E-flat, for which we also had to change crook into E-flat at A=415Hz [also known among trumpeters as D at A=440Hz]. Our involvement so far had all happened consecutively and there was no opportunity (as there was no interval) to settle into the crook change before launching into the demanding first movement of the E-flat Magnificat. Fortunately, we were all intently focused and had the crooks well-prepared so we made good estimations of where the pitch would be for the start of BWV 243a. The remainder of our role within the E-flat Magnificat and indeed the concert, became slightly less extreme, with the exception of the Zugtrompete part in 'Suscepit Israel' - which is always at least slightly ominous. In front of this learned audience, I do not mind admitting that I was on a state of what I can only describe as ‘high alert’. The first entry of 'Suscepit Israel' started well and I had correctly estimated the necessary length of the corpus of the instrument and the amount of slide extension required for the first note. In the fifth bar after the start of the trumpet entry, the slide rubbed ever so slightly on the motion to correct the pitch of the F partial. After this first entry, I decided - as I often do when I practice it - to take the slide out, blow the water out onto the slide and replace the slide into the receiver of the trumpet. Usually it is easy to do this in the four bars between entries, but on this occasion I struggled to return the slide back into the trumpet. With only a beat remaining, I managed to finally get the slide back in, breathe and make the entry into the second phrase - thankfully without splitting the note. I was relieved for a moment. The phrase then continues for nineteen bars until the end of the movement. I found that I was shaking slightly thanks to a certain amount of oxygen debt and with the adrenaline. Eleven bars through this second entry, I had to play a written B natural on the trumpet, which is actually the furthest the trumpet travels down the slide in the piece (the A is played as a semitone extension of the naturally sharp B-flat harmonic and the B natural is played as a semitone extension of the C harmonic). With my trumpet a fair distance from my body I could feel my right hand shaking and making the instrument quite unwieldy to hold. Upon moving back to the note A, I was still shaking and I had to hold that note for a further seven bars. I decided to gradually bring the trumpet closer to my body while keeping the slide out by the same distance. I achieved this by playing in a more vertical position, pointing straight towards the floor, using the assistance of gravity. This slightly unusual and ad-hoc technique eliminated the slight shakes and hopefully added some kind of dramatic symbolism or dynamic contrast from the audience’s point of view. I took assurances and praise from my colleagues afterwards and was delighted to hear that even I could hardly notice any shaking in the resulting Deutschland Radio broadcast. 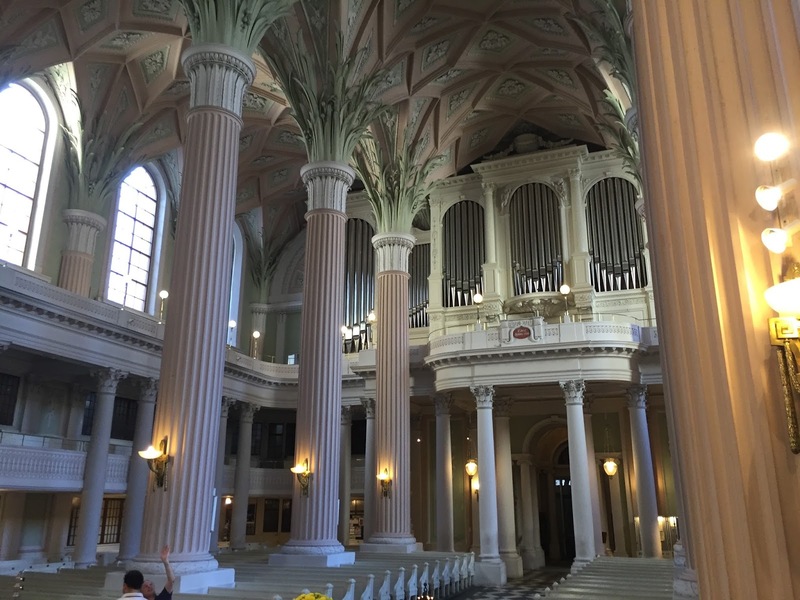 Aside from the memorable musical experiences that we had in Leipzig, we all enjoyed exploring this wonderful city and all it has to offer. 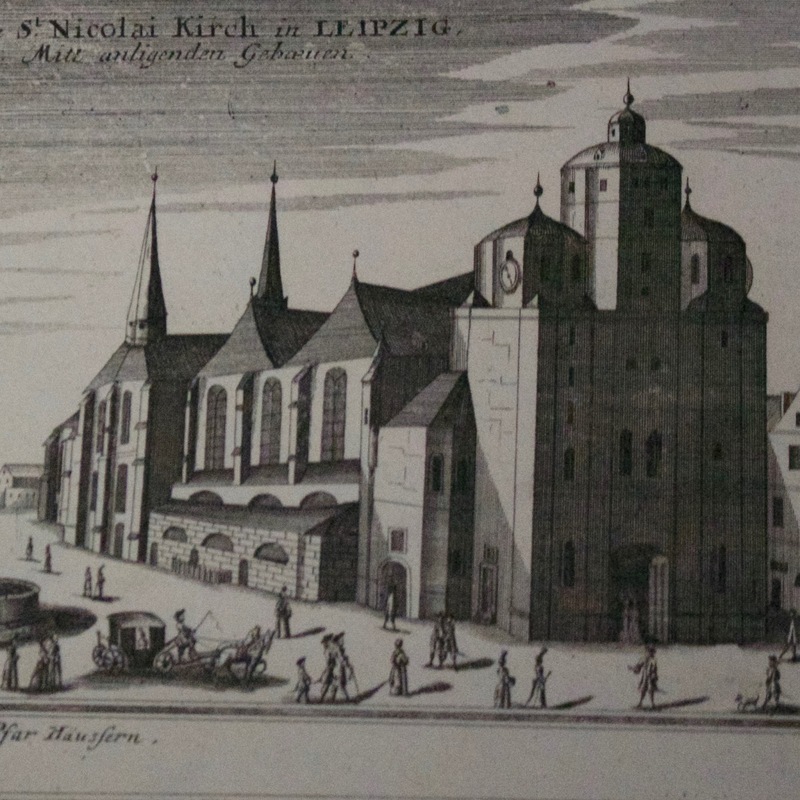 I visited the Bach museum and the Thomaskirche, of course. 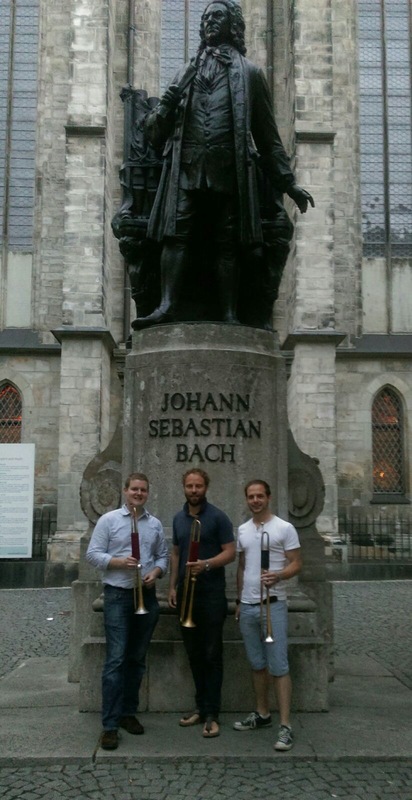 I was delighted to see an original Haas trumpet in the Bach museum and to hear Bach's music being rehearsed in the gallery at the back of the Thomaskirche. There were so many events happening over the city during the Bachfest that it was hard to take it all in. However, it was great to see the diversity of venues and the clear presence of the festival within the city, including an outdoor stage in the main square. My only slight disappointment in Leipzig was that the portrait of Gottfried Reiche (one of Bach's celebrated trumpet players) is not on display in the town hall (Leipzig Museum of City History). Both Reiche and Bach were painted by the portraitist Elias Gottlob Haussmann during their lifetimes. 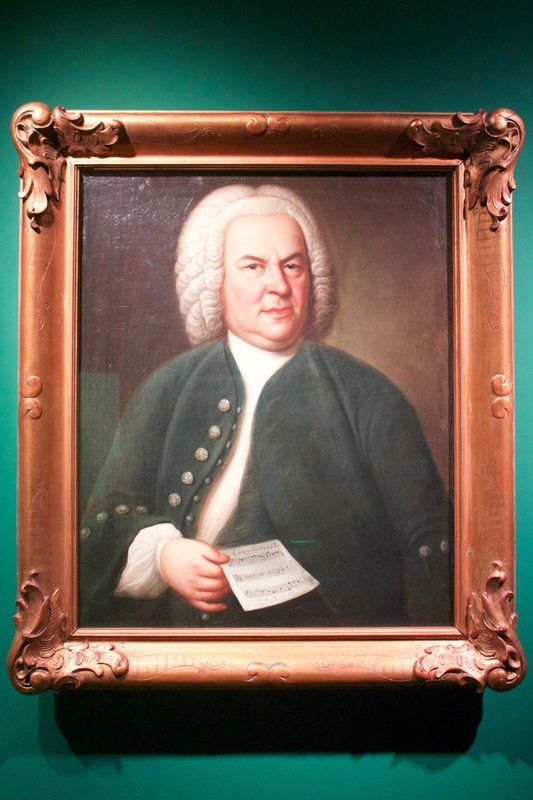 The Leipzig Bach museum was recently bequeathed (by William H. Scheide) the second version, from 1748, of the portrait of Bach (the original was from 1746), which generated significant media interest upon its return to Leipzig in 2015. 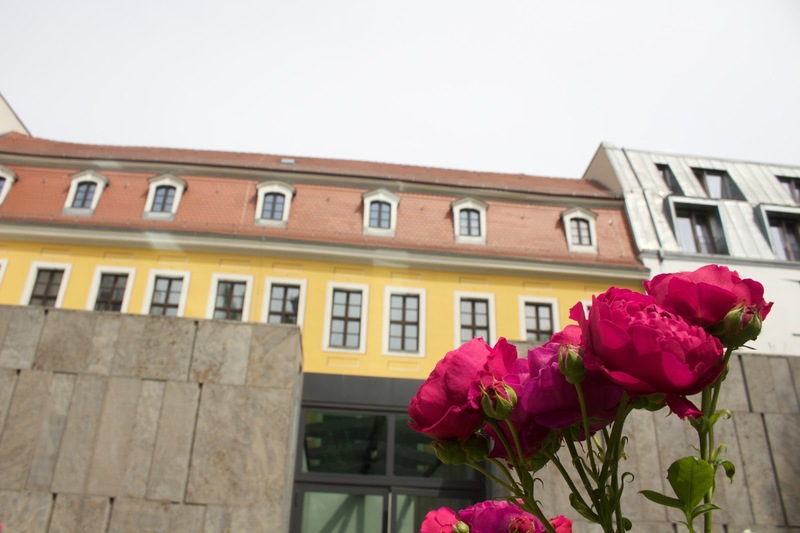 It seems a shame that Reiche's portrait remains out of public view, as it would certainly be of interest to those visiting the Bach museum. The centre of Leipzig is a good size to be able to walk everywhere easily and explore on foot. 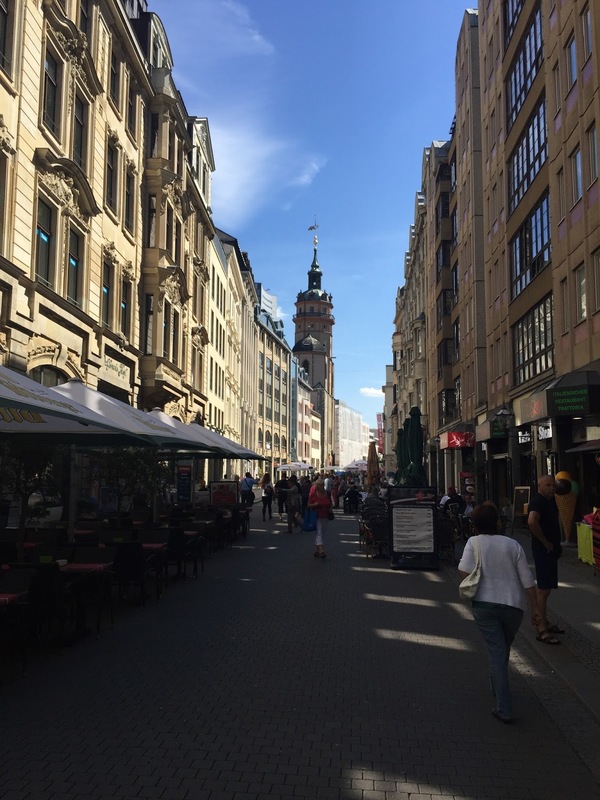 I was fortunate enough to be able to meet several of my friends who live in Leipzig. They showed me some of their favourite cafés and restauraunts around the centre. It was a wonderful tour and I think it has done a lot to raise the profile of Solomon's Knot - and rightly so. Congratulations to all the members of the choir and orchestra and thanks to the Leipzig Bach Festival. N.B - All translations of German-language journalism provided by Jonathan Sells.